Amazon, Barnes & Noble, and others. 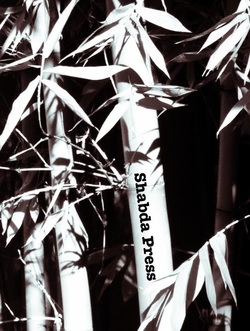 Shabda Press is a small, independent press that publishes a few books of poetry a year in print. Shabda Press also publishes in eBook and audio formats (Poetry CDs). Our goal is to produce beautiful, high quality, well-designed poetry books. and publishing a few exquisite books of poetry each year. ". . . sit quietly and listen for the wolf to howl, and think hard of everything you have seen and tried to understand. Then you may hear it--a vast pulsing harmony--its score inscribed on a thousand hills, its notes the lives and deaths of plants and animals, its rhythms spanning the seconds and the centuries." --from Aldo Leopold's essay in Sand County Almanac, "Song of the Gavilan"